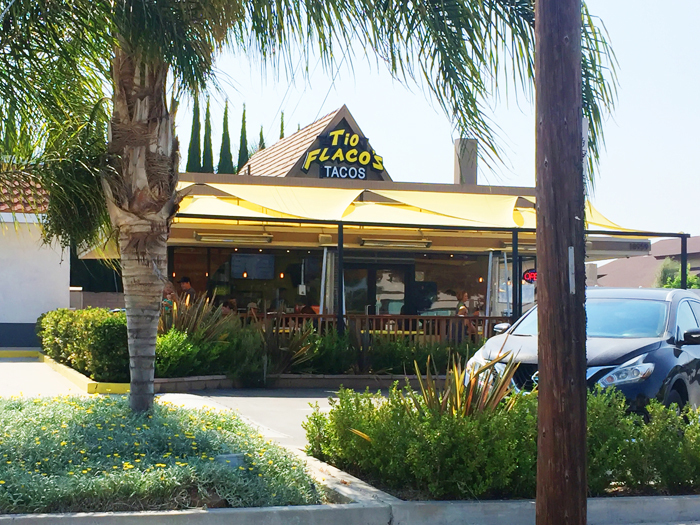 Just outside of Huntington Beach lies another one of our favorite Mexican Food Restaurants Tio Flacos. It’s cute and quant and they have some of the yummiest food that you can crave for days! Since we have 4 kids, quality one on one time is key in our family to make each child feel important. 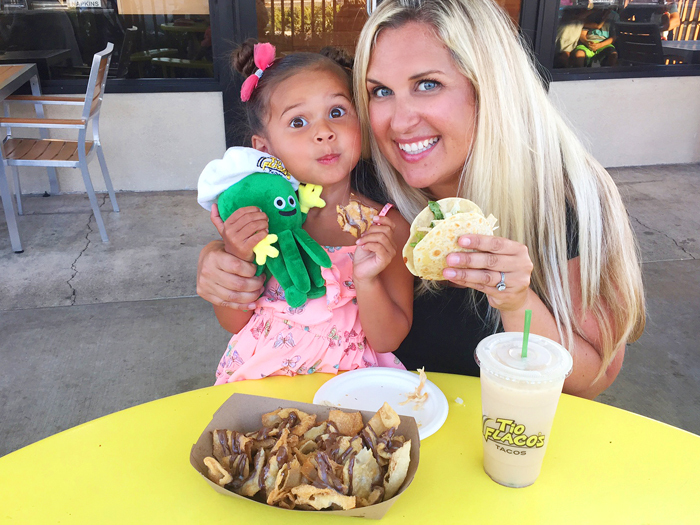 Little Lucy and I were due for a date so we headed to Tio Flacos for some delicious grub… but mostly their churro chips! Scroll down to see our special date! 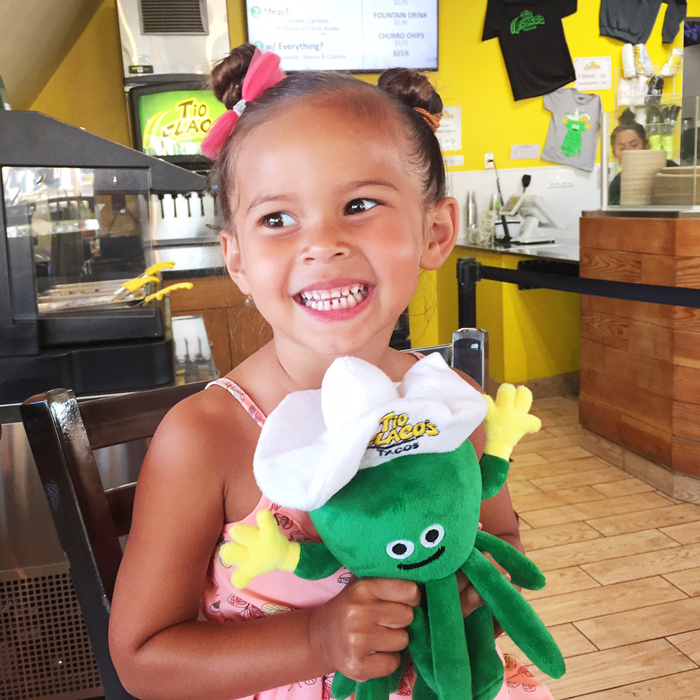 Lucy fell in love with Templeton the Squid so he joined our little date. Isn’t he cute? 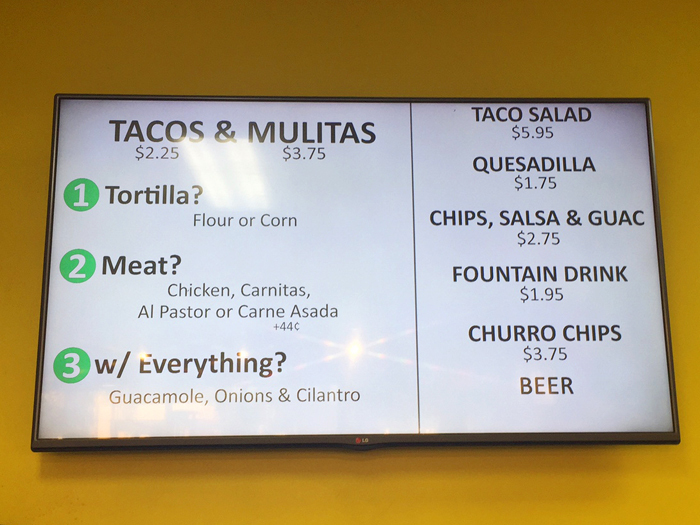 I love simple menus. Just the best stuff to order. Check out the menu in more detail HERE. ALWAYS order Horchata. Seriously. This is a must. Lucy didn’t share much. This night we ordered our favorite the Mulita which is like a taco sandwich. 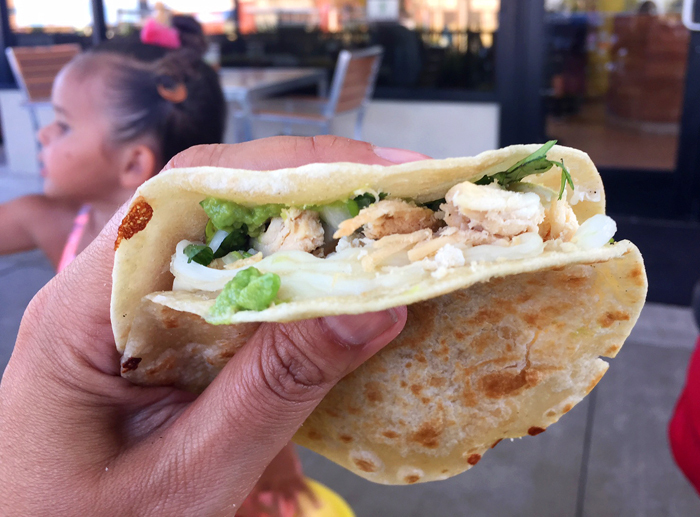 You choose the meat then its topped with guacamole, salsa, onions, cilantro & cheese pressed inbetween 2 of the most delicious handmade tortillas. So good. 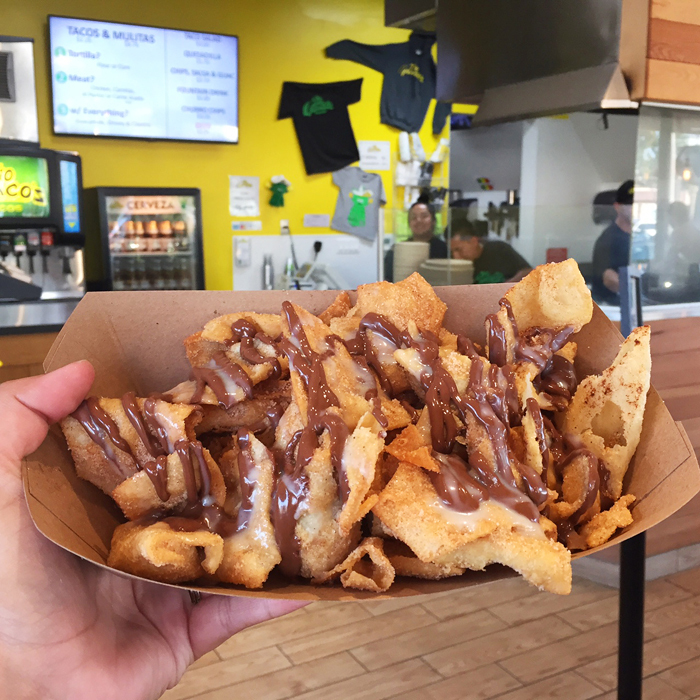 Then the most anticipated part of the night and the main reason we love Tio Flacos… THE CHURRO CHIPS! These things are to die for. Crunchy chips tossed in cinnamon sugar and drenched in nutella then drizzled with condensed milk. Could these get any better? We were in Heaven and the sugar high had me for days… Still dreaming of churro chips… This date couldn’t have been better. 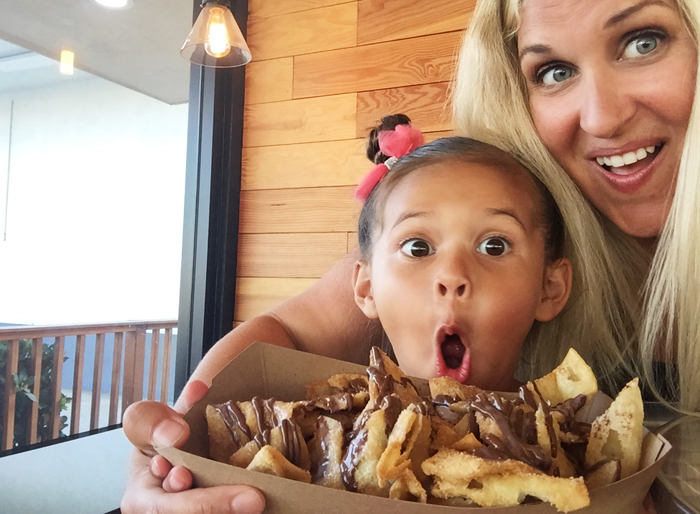 Little Lucy could make anyone laugh for days and top it off with churro chips and you really do get the best night ever! 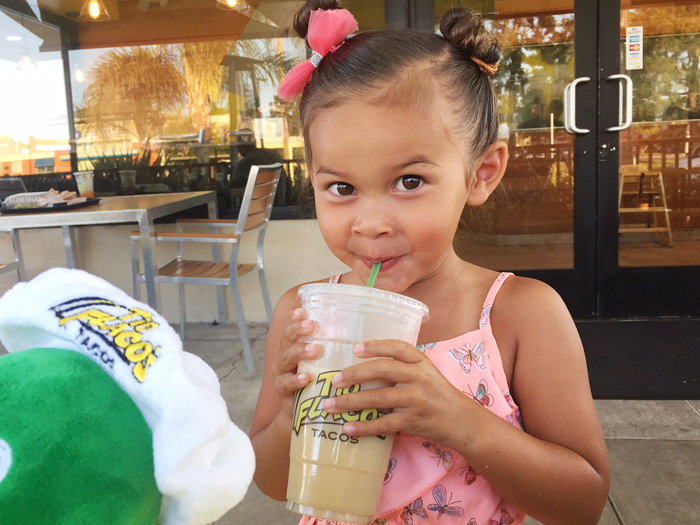 Tio Flaco’s is located in Fountain Valley just a block away from Huntington Beach. 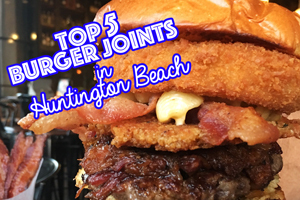 Check it out here..
Let us know you visited and share your favorite menu items! 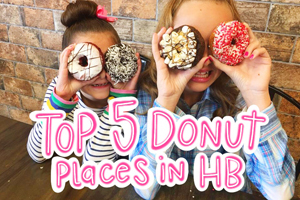 « HB Krispies so cute and delicious!